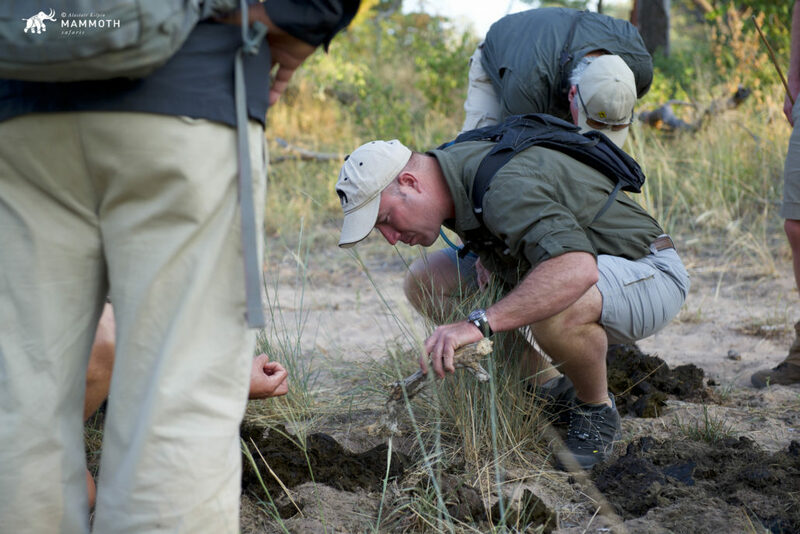 Our discovery of the leopard is a tale of generations-old skill, team work and interpretation of the sights and sounds of the bush. 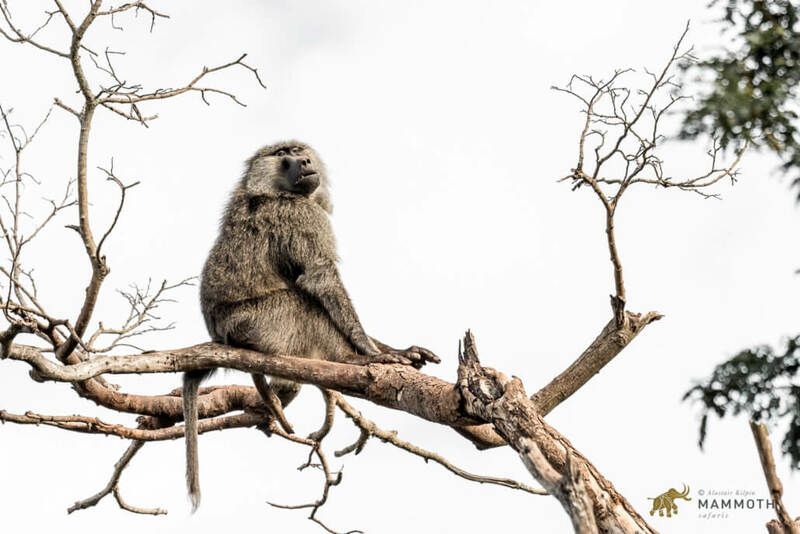 It began even before we left the lodge that morning as the Chacma Baboon alarm calls competed impressively with the quiet twittering of the waking birds. Baboons often alarm when something displeases them, it could be a snake, a bird of prey or in this case, a leopard returning past the baboon’s roost to her stashed kill. Our tracker, Richard, hurried our early morning tea along and his enthusiasm was infectious. 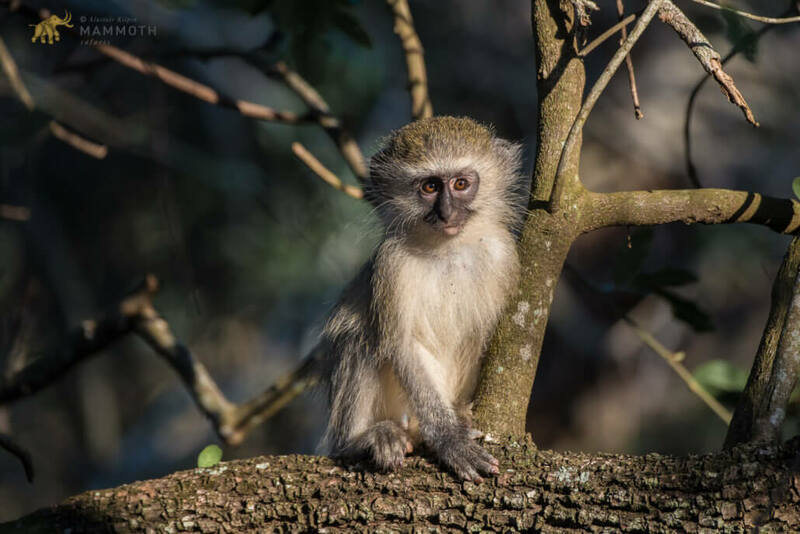 Our guide, another Richard as luck would have it, joined his tracker partner in an excited discussion as we drove out of the camp, the distant baboon alarm calls now being joined by a group of also agitated Vervet Monkey’s. We drove a short distance in the direction of the loud “barking” and “chattering” before Richard pulled the vehicle quickly to one side of the road and switched the engine off. Excitedly he explained what he and tracker Richard were surmising. 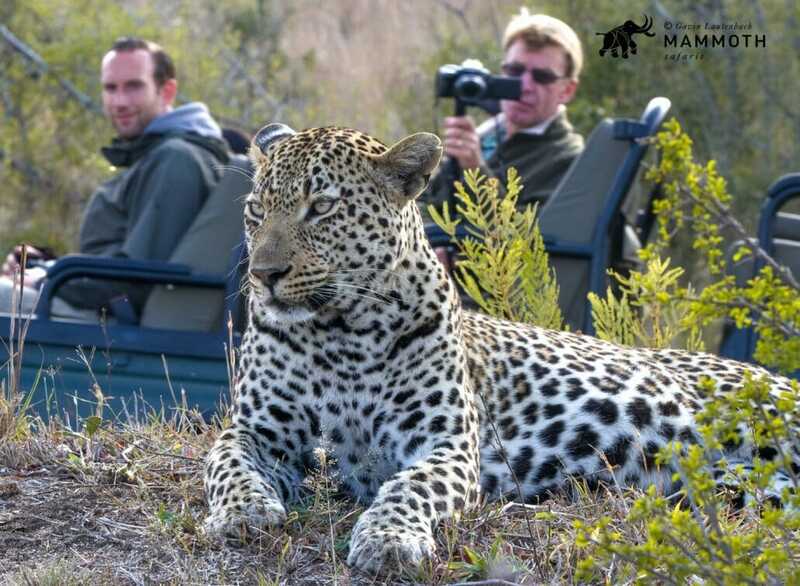 Firstly, they had established a scenario based on where the alarm calls appeared to be coming from – the area was the established territory of a female leopard who had not been seen for some time and it was possible that she had returned to further stake her claim on the space. Assuming this was true, we would head across the river, constantly checking the roads (leopards are sensible cats and often take the most comfortable route available – often sandy and comfortable jeep tracks) in the hope that we might find some sign of her presence. It wasn’t too long before we were driving again, we had crossed the river in the incredible Land Rover and were now slowly picking our way along one of the sandy tracks on the northern bank of the river. Suddenly Richard (tracker) raised his hand and Richard (guide) responded by bringing the vehicle to an immediate stop. Both Richards dismounted and studied the road intently. The pair took a lengthy stroll up the road, often stopping to stoop low and read the signs. Richard the guide had his rifle with him – an ominous sign perhaps? Once both Richards had returned to the vehicle, we continued our journey along the sandy road at a snails pace, with Richard’s tracker eye’s dancing up from the road to the dense surrounding trees and shrub. Richard (guide) had explained that Richard (tracker) had found the distinctive pug mark of a female leopard (discerned by the spoor of the female being smaller than that of the male). The hand of Richard our tracker shot up again and the vehicle came to a gentle but nonetheless abrupt stop. Another “off vehicle” conference by the two Richards was followed by an explanation and examination of what looked like a slight scuff in the sand running parallel to the direction of the road. No mere scuff it was revealed – this was a drag mark! Richard (guide) excitedly takes stock… (1) Alarming baboons (2) Alarming monkeys (3) a female leopard territory (4) fresh tracks of a female leopard (5) a drag mark. 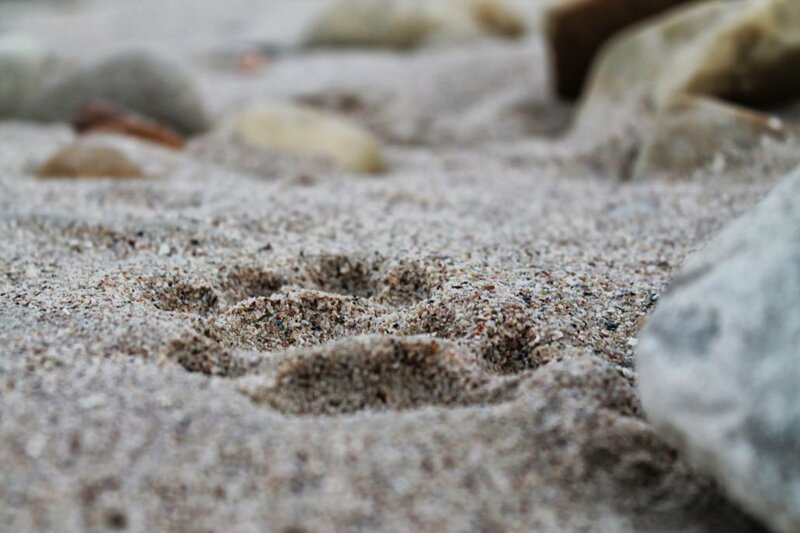 The “drag mark” is pointed out and explained as the evidence left behind as leopard drags its kill to a place of cover, a rather “obvious” scuff on the road is now part of the emerging story. Explaining the risks and the subsequent precautions they will take, the two Richards disappear on foot in the last known direction the leopard was headed, gingerly and quietly they pick their way through the dense scrub. As per our instructions, we stay firmly put in the vehicle – anxious but excited. 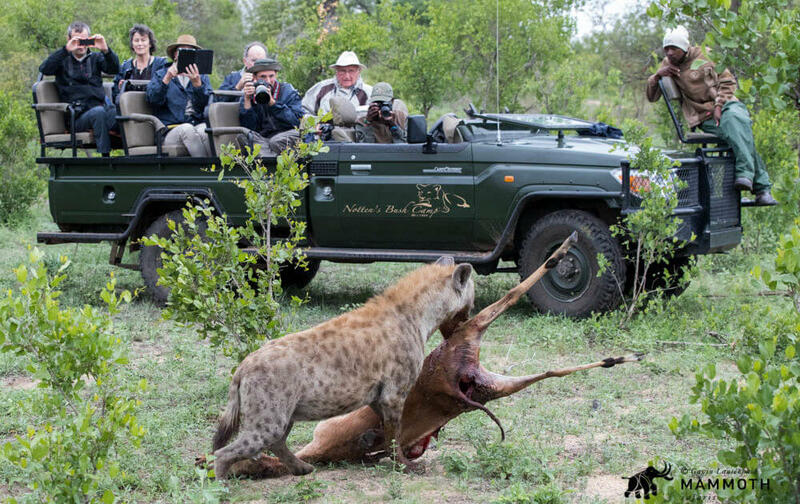 The tracking team are away from the vehicle for no more than 10 minutes and the “thumbs up” from Richard (guide) and the beaming grin from Richard (tracker) as they reemerge from the bush are two sure fire signs that we are going to be in luck. Richard (guide) returns his rifle to the front of the vehicle and turns to us all and enthusiastically explains how the signs told the remainder of the story and led the two to the female leopard. A small tuft of impala hair stuck to a fallen branch, a drop of blood, a few more “almost hidden” pug marks and then the eagle eyes of Richard (tracker) spotting the rosetted cat resting on the branch of tree. 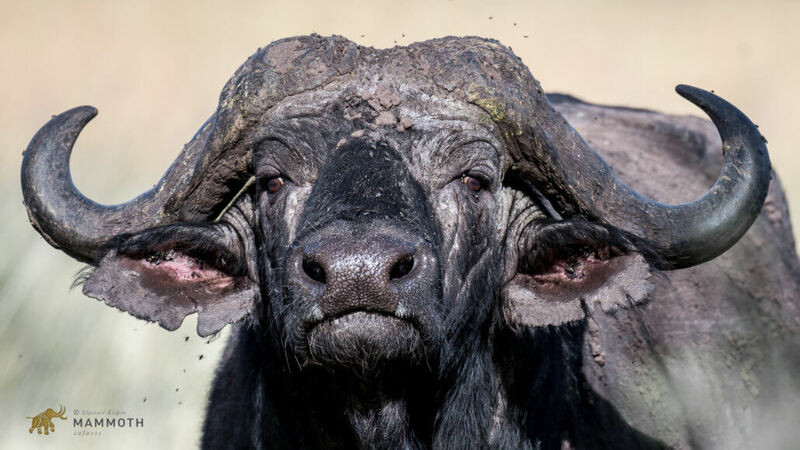 Our vehicle picks an unthinkable path through the densest of bush until we pop out into a tiny clearing with a large Marula tree as the centre piece – it is here that we eventually find our lady, quietly resting on the branch. Even though we all know what to look for, it takes some time to find her such is the genius of her camouflage. 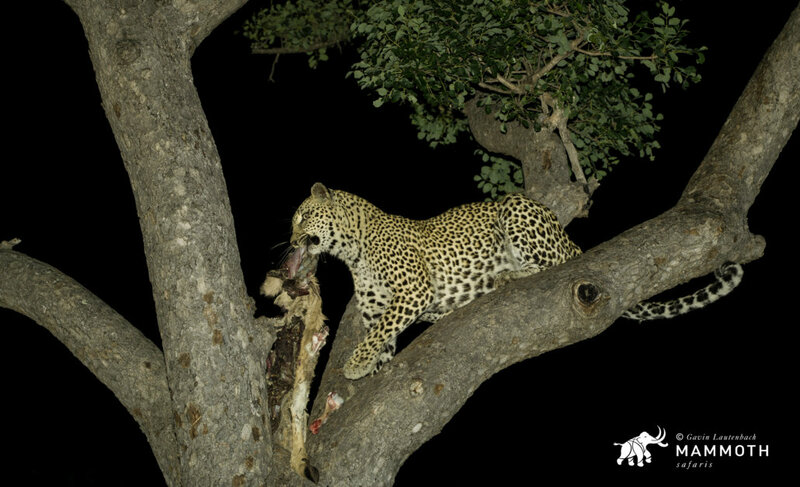 From this find we are able to enjoy further sightings of the this same leopard moving her kill around the tree in reaction to the arrival of a pair of spotted hyena, who sniff around the base of the tree for scraps. 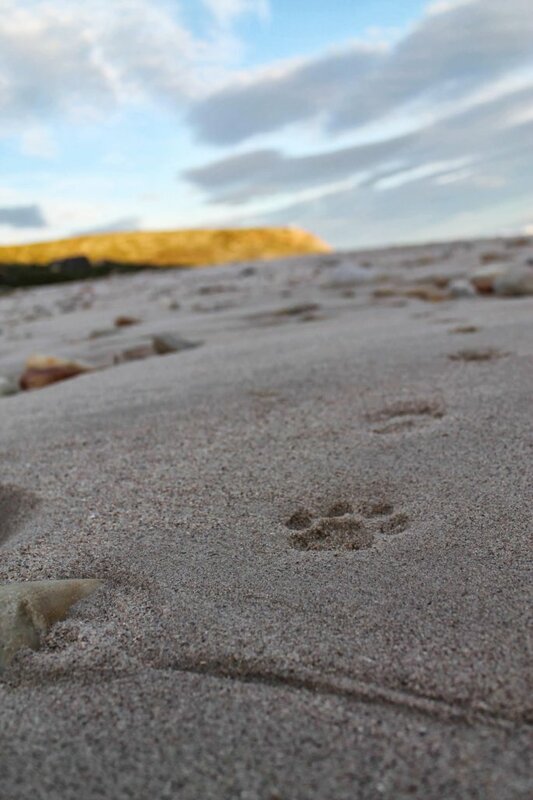 This would all have gone entirely unnoticed were it not for the skill of our tracking team. Africa offers so many wonderful walking safari and tracking experiences that vary from intense trekking to track down Mountain Gorillas in the foothills of Rwandan mountain ranges, to gentle strolls along the beach to search for Leatherback turtle nesting sites. 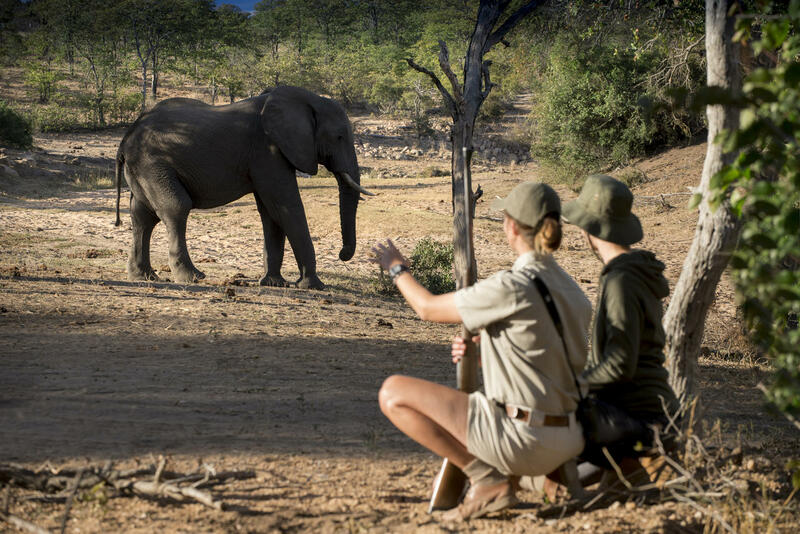 Whatever your desire and level of fitness, Mammoth Safaris will find the right walking safari for you and ensure that you experience the walking and tracking safari of a lifetime. 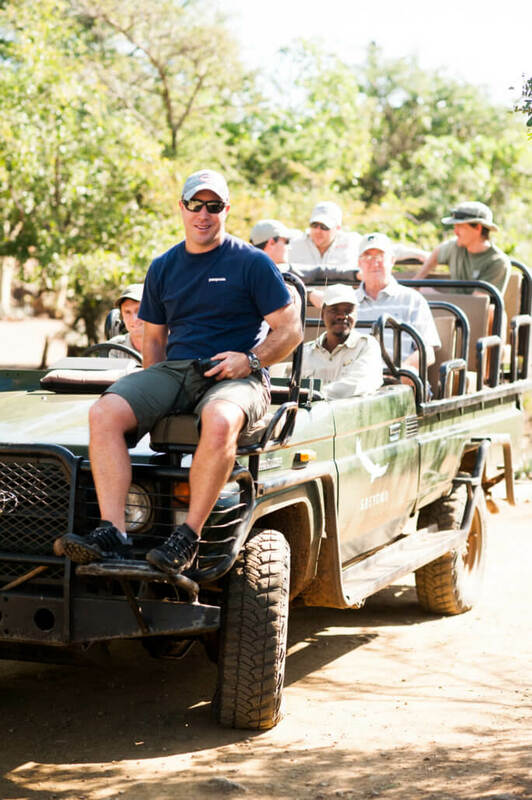 For more information on how to book your Mammoth Safari to search for wilderness, adventure and experiencing the ancient art of tracking, contact a member of our sales team via email at info@mammothsafaris.com and visit www.mammothsafaris.com for more destinations and journeys.